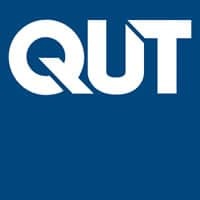 QUT i s a major Australian university with a global outlook and a real-world focus. We are one of the nation’s fastest growing research universities and our courses are in high demand. Our graduates include eight Rhodes Scholars, five of these awarded in the past six years. We are an ambitious and collaborative institution that seeks to equip our students and graduates with the skills they’ll need in an increasingly disrupted and challenged world. We are transforming the student experience we offer our 50,000 students and we place a premium on the international and national accreditation of our various professional degrees. The QUT Faculty of Education is unique in its blend of large-scale teacher education and research excellence. With over 5,000 students and almost 200 full-time staff, we are able to offer a comprehensive range of education specialist programs including early childhood, primary, middle years and secondary programs. We offer postgraduate studies in a range of areas, such as teacher-librarianship, school guidance and counselling, and literacy.